Marwa and Ahmad know that war has come to their country, but its effect on their lives are small and life in their village goes on as normal. 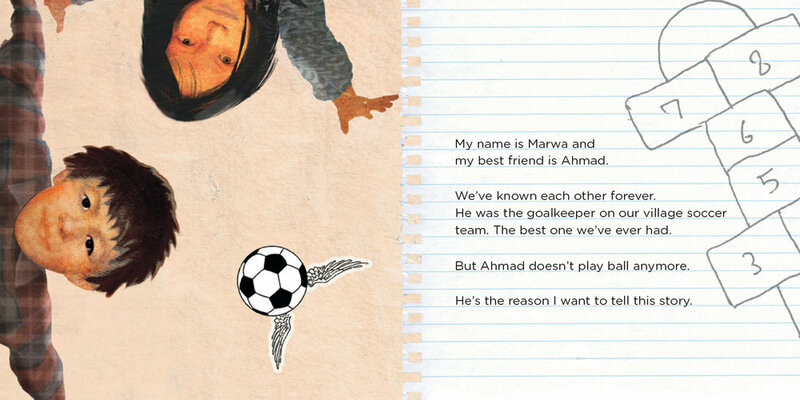 Ahmad is the goal-keeper in their games of soccer - the best they’ve ever had. 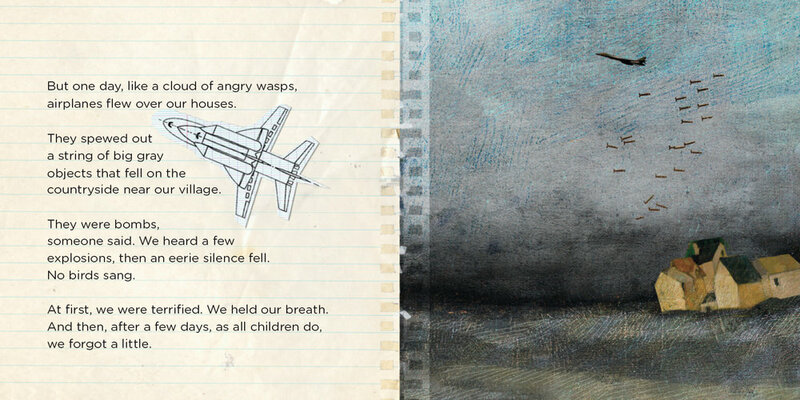 One day, a group of planes flies over their village, like a swarm of angry wasps. The skies go grey, and the birds go quiet. They learn that the planes dropped small unexploded bombs all over the countryside, now hidden and lying in wait. But life goes on, and the children once again forget about war - until a day when Marwa and Ahmad are playing, and Ahmad picks up a small yellow bottle. The resulting explosion will change their lives forever, leaving Marwa scarred, and Ahmad with only one hand and one leg. The scars of war will take a long time to heal - both those visible and those inside. But with time and courage, hope returns for both Marwa and Ahmad, who can no longer play soccer, but who has become the best coach they’ve ever had. Includes a special forward from Handicap International. Angèle Delaunois is both a children’s author and the founder and publisher of the Quebec-based press Editions de L’Isatis. The author of over forty books for children, she lives in Montreal. Christine Delezenne created the images for The Little Yellow Bottle using a clever blend of textures, drawings, and collage, which makes them both current and timeless. She lives in Montreal.